I have a big love for PB2. I actually prefer it to regular peanut butter. Yes, the main reason is because of its caloric value. But another reason is that I’m actually not a big fan of peanut butter itself. I prefer almond butter. I always have. While peanut butter is alright (but not super high) in my book, I still like the flavor of PB&J. I mean, what’s not to like? I even made vegan chocolate PB&J cupcakes before! 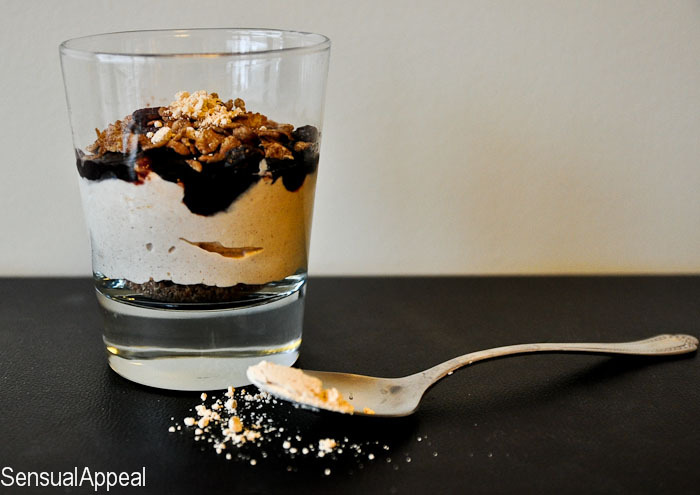 Anyway, this peanut butter and jelly pudding parfait is a healthier and lower fat alternative to your favorite peanut butter and jelly snacks or desserts. 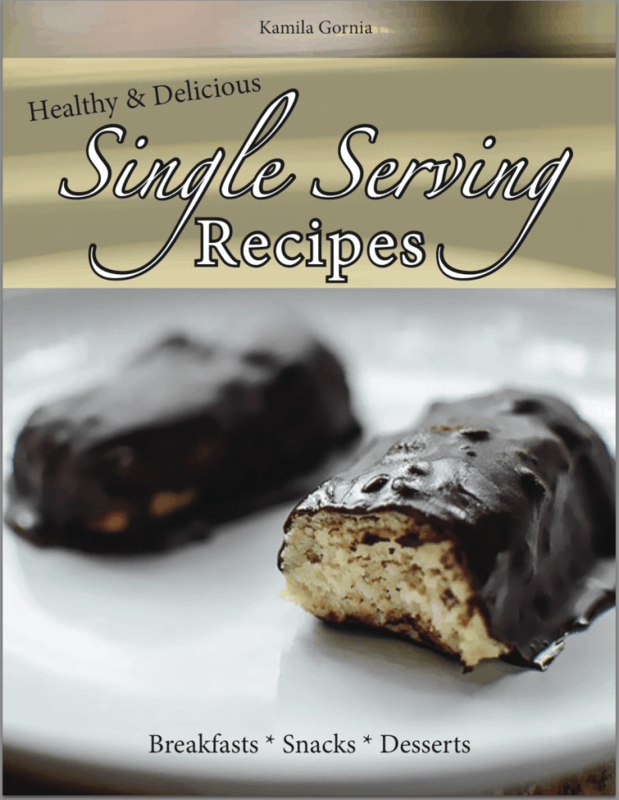 It is high in protein thanks to the use of cottage cheese and peanut flour. 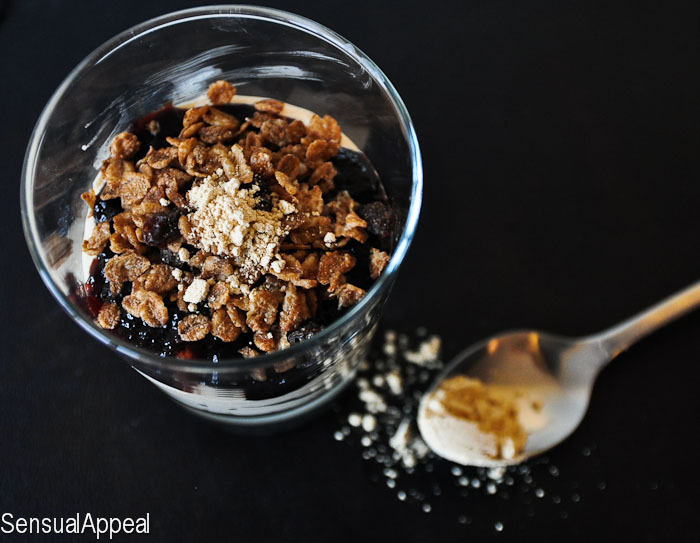 The crunch from the granola is perfect and gives an ideal combo of textures. Additionally, the use of cinnamon helps regulate blood sugar levels from all of that delicious sweetness that’s going on here. And you wonder why I add cinnamon to all my desserts? 😉 I love me some great health benefits, duh. I also recommend finding a lower sugar or no sugar added jam variety. Fruit are sweet on their own, I don’t think it’s necessary to add any additional sweetners to the mix. Thankfully, I still have some jam from May’s trip to the Amish country. What’s your favorite flavor of jelly for your PB&J? Do you pay attention to sugar content on jellies? I’m not a big pudding fan, but that parfait looks deelish! No way , you don’t like puddings?! :O I love them! haha, but only certain kinds. I’m very particular about my food, haha. oh this looks fun! I’m also a huge fan of PB2, the nutrition stats are just incredible. that sounds absolutely delicious, wow drooling. 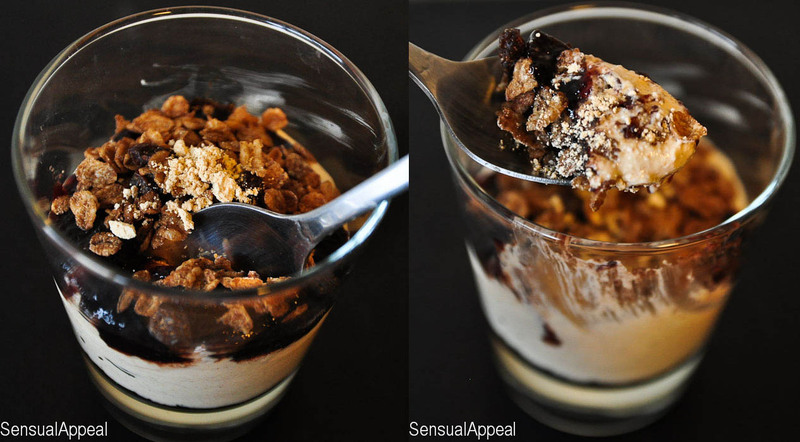 Love this parfait! I love PB, but I only like my homemade kind, for some reason I don’t care for the jarred stuff.